Two-Way Web: Can You Stream In Both Directions? Update (couple of hrs later): I mailed Alex Russell (the guy who named Comet and knows plenty about it), it sounds like he’s been investigating this whole area and he’s sent me his views. Im missing one demo, would it be possible to reuse same stream in streaming demos to send msg to server, I’ve been digging throw your examples, but they all seem to create a new connection to the server when posting, would be very interesting see a demo that does this within the same stream, and of course the server code would be as interesting as the client. Here’s my thinking, I’m sure a lot of smart readers will know more about this and I’ll be interested in your views – is it feasible? Any online demos? Unfortunately, I’ve not seen anyone pull this off – it’s always assumed you need a “back channel”. It’s the kind of hack someone like Google or 37S would turn around and pull off even though it’s “obviously impossible” 😉 . (1) Server needs to start outputting before incoming request is finished. With a specialised server, this problem could be overcome. (2) (More serious as we can’t control the browser) The browser would need to upload data in a continuous stream. You can do it with Flash/Java, but I can’t see how to do this with standard JS/HTML. If you use XHR, you’re going to call send() and wave goodbye to the entire request…there’s no support for sequencing it. Same if you submit a regular form, change IFrame’s source etc. Even if you could somehow delay reading of content so it’s not immediately uploaded, the browser would probably end up not sending anything at all as it would be waiting to fill up a packet. If you google for “xmlhttprequest keep-alive” or “ajax keep-alive”, you’ll see people talking about the idea a bit, but there’s not much info on how to script it for continuous connections and no demos to be found. It would make a great experiment if someone did a proof-of-concept! As an alternative, you could consider a thin, invisible, Flash layer to handle transport, and degrade to frequent Submission Throttling where Flash isn’t an option. p>BTW I have a post and podcast planned about the whole two-way web thing, which will be profound (the two-way web thing, not the podcast :-)). The web is entering a new era of Real-Time Collaboration and Communication, post-Ajax (and of course building on Ajax, just as Ajax builds on the technologies of the previous era: CGI, DHTML, CSS, etc). Update: As mentioned above, Alex Russell mailed me his views. In particular, it’s interesting to consider the possibility that browsers might transparently exploit keep-alive if you hit the server frequently enough. So I’ve spent some time investigating this (as you might expect), and at the end of the day there’s not much to be done aside from using Flash and their XMLSocket interface. That’s an obvious possibility given the high-performance Flash communication infrastructure we have in Dojo. Doing bi-directional HTTP probably won’t happen, though, but I don’t think that’s cause for despair. In my tests, we can get really good (relative) performance out of distinct HTTP requests so long as the content of the request is kept to a minimum and the server can process the connection fast enough. HTTP keepalive exists at a level somewhat below what’s currently exposed to browsers, so if the client and server support it, frequent requests through stock XHR objects may verywell be using it anyway. We’ll have to do some significant testing to determine what conjunctions of servers/clients might do this, however. There are even more exotic approaches available from Flash peering that I’ve been investigating as well, but they will require significantly different infrastructure from what we already deploy that I think they’re still in the land of “hrm…someday”. First we have to solve the *regular* Comet scalability problems for existing servers and app containers. PS: we haven’t been making much noise about it, but serious work has started on an Open Source Comet protocol with initial implmemntations in both Perl and Python over at http://cometd.org. The initial client library is Dojo-based, but we’ll be publishing the protocol so that anyone can “play” with it. Portable Comet? It’s the IFrame, Stupid! Comet – or HTTP Streaming, if you will – is a little sensitive when it comes to portability, and I’ll give you four guesses which major browser is causing the grief? Yeah, IE makes it difficult for two reasons: (a) IE’s XMLHttpRequest component doesn’t tell you anything about the response until the connection has closed – even if you try polling it instead of relying on onReadyStateChange, you’ll still get an empty string (Try it); (B) Okay, switch to plan B and inspect IFrame content – we can’t rely on onload, which is only called once at the end, so we must poll. But no, polling won’t help either, as the IFrame content remains empty until (you guessed it) the connection is closed. (Try it). Don’t give up on the IFrame so fast … we’re closer than we think. Actually, the solution harkens back to one of the original Push techniques: outputting script tags with inline code (what the HTTP Streaming pattern calls “page streaming”). If you do that in your main document, the code will be executed immediately, and the same is true if you do that inside an IFrame. The portable solution is this: Have the server continuously output script tags that call a known function in the parent frame. When you set the child IFrame’s source to point to this service, it will start evaluating the inline scripts as they pop out of the server. This happens to be one technique people have used for remoting for many years (I think Brent Ashley recently told me he was doing it in ?1999). The twist with Comet is that you keep doing it, and don’t actually close the connection for a while. (Again, I’m sure some people were doing that for a long time too!). Is it elegant? No. It means the remote service is suddenly coupled to the client-side of the web app – it has to know something about what’s in the parent frame, whereas you’d often like it to be generic and just deliver a response in XML, JSON or whatever. Like most things Ajax, we’re using a hack because it nonetheless push all the right buttons for our users. Whoever put the X in Ajax ought to put an I in Comit. IE’s XHR component doesn’t provide the response until the connection has closed, and I don’t think version 7 changes that. Assuming (graciously) it happens in IE8, you’ll need to use IFrame for the next five years if you’re doing any Comet work. And of course, you won’t need to do that, because libraries will do it for you. BTW You could argue that IE is doing the right thing by preventing access to the content until the connection is closed. Maybe they are, maybe they aren’t. From a pragmatic perspective, though, portable Comet requires Ajax. Alternatively, use IFrame with IE and XmlHttpRequest with the others, though I’m not sure if there’s much mileage to be gained from this hybrid strategy. 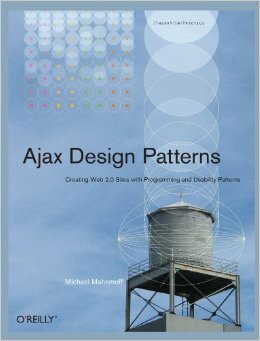 A little while back, I mentioned that some people in the patterns community have been noticing the Ajax Patterns. In particular, there have been a series of discussions about the patterns by the Software Architecture Group in the University of Illinois Computer Science Dept (home of Netscape forerunner Mosaic btw). The SAG is led by Ralph Johnson (Gang Of Four “Design Patterns” author) and the group also includes Brian Foote, who blogged about Ajax as a pattern earlier on and has kindly been keeping me updated on the MP3s emerging from these discussions. The feedback has been very helpful and I’ve been able to incorporate it in time for the physical publication – thanks again to everyone in the group. While listening to the audio, I’ve been taking notes and writing some comments. With the permission of Ralph and Brian, I’m going to be posting these, each discussion as a separate post. It’s an opportunity to see how a group of very intelligent people without much Ajax experience respond to Ajax and the Ajax patterns. You’ll notice two conventions here: “TODO” is a note to myself that some action needs to be taken. “MM” signals my ideas, views, and comments back to the group. - Remote call to server without refreshing a whole page. - The big idea is this is a way to call the server. Did you find this pattern easy to understand? - Part of the problem here is JS itself. - There are libraries that help. (AjaxCaller, Prototype). Solution. What I dislike is the forces are also the same. talk about the forces as take potshots at existing solutions. 26:30 It's a long pattern, is that okay? this long, but given it's so core to Ajax, it's fine. - Length is fine, but a lot of code there. - I would like more examples of the old way of doing things. - Pattern could be shorter if PHP wasn't written. - So you'd like less example code, others want more. - The pattern is really introducing XHR, not how to use it. they're just how the technology works. - So then what are the patterns around XHR? closures. There's an aspect of dealing with callbacks. idea that comes up here. - Feedback from the call. Or using poll. Fire-and-forget. Typical remote invocation styles: What does XHR do? pattern discussion we could have. 41:30 Real-World Examples and Code. - These systems are not thoroughly responsive as claimed. - Next, ways of telling your web browser what to report back. but got away with it because browser wars finished etc. - Poor Man's version of the previous one. - What can you do with one that you can't do with the other? XHR and not with IFr? - Long discussion about relative benefits etc. IFrames. [TODO Include x-reference in IFrame Solution. room where the original Mosaic web browser developers sat. came along in 2003. Whether it needs to be here, not sure. Is it competition for the other two? problem as the other two. be okay here. Here, the forces would be different. What would make you choose this over the others? Long refactoring illustration here. Do the others have one? - Seemed nice to refactor in this way. 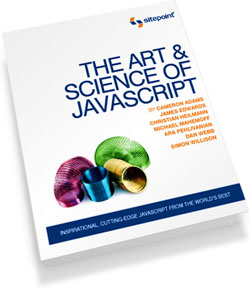 If Ajax apps are to be rich, there must be a way for the server to pass new information to the browser. For example, new stock quotes or an instant message someone else just sent you. But the browser’s not a server, so the server can’t initiate an HTTP connection to alert the browser. The standard way to deal with this dilemma is Periodic Refresh, i.e. having the browser poll the server every few seconds. But that’s not the only solution. The recent podcast on Web Remoting includes a discussion of the HTTP Streaming pattern. By continuing to stream information from the server, without closing the connection, you can keep the browser content fresh. I wasn’t aware that it was being used much on the public web, since it can be costly, but I recently discovered JotLive (which is only semi-public since it requires registration) is indeed using it. Do you know any other examples? How do you handle the “live” part? Polling? We’re using a (very slightly modified) version of LivePage, which Donovan Preston wrote as part of Nevow, a Python library for building web applications using the Twisted networking framework (which I just wrote a book on: Twisted Network Programming Essentials). LivePage doesn’t use polling. Instead, it uses a clever technique where each browser keeps an open XMLHTTP request to the server at all times, opening a new connection each time the old one closes. That way every client viewing the page is constantly waiting for a response from the server. When the server wants to send a message to a client, it uses the currently open request. So there’s no waiting. Alternative Pattern: Periodic Refresh is an obvious alternative to HTTP Streaming. It fakes a long-lived connection by frequently polling the server. Generally, Periodic Refresh is more scaleable and easier to implement in a portable, robust, manner. However, HTTP Streaming can deliver more timely data, so consider it for systems, such as intranets, where there are less simultaneous users, you have some control over the infrastructure, and each connection carries a relatively high value. Refactoring Illustration: The Basic Wiki Demo, which uses Periodic Refresh, has been refactored to use [http://ajaxify.com/run/wiki/streaming](HTTP Streaming). Stream server data in the response of a long-lived HTTP connection. Most web services do some processing, send back a response, and immediately exit. But in this pattern, they keep the connection open by running a long loop. The server script uses event registration or some other technique to detect any state changes. As soon as a state change occurs, it pushes new data to the outgoing stream and flushes it, but doesn’t actually close it. Meanwhile, the browser must ensure the user-interface reflects the new data. This pattern discusses a couple of techniques for Streaming HTTP, which I refer to as “Page Streaming” and “Service Streaming”. “Page Streaming” involves streaming the original page response. Here, the server immediately outputs an initial page and flushes the stream, but keeps it open. It then proceeds to alter it over time by outputting embedded scripts that manipulate the DOM. The browser’s still officially writing the initial page out, so when it encounters a complete <script> tag, it will execute the script immediately. A simple demo is available at http://ajaxify.com/run/streaming/. “Service Streaming” is a step towards solving these problems, though it doesn’t work on all browsers. The technique relies on XMLHttpRequest Call (or a similar remoting technology like IFrame_Call). This time, it’s an XMLHttpRequest connection that’s long-lived, instead of the initial page load. There’s more flexibility regarding length and frequency of connections. You could load the page normally, then start streaming for thirty seconds when the user clicks a button. Or you could start streaming once the page is loaded, and keep resetting the connection every thirty seconds. Having a range of options helps immeasurably, given that HTTP Streaming is constrained by the capabilities of the server, the browsers, and the network. Experiments suggest that the Page Streaming technique does work on both IE and Firefox (), but Service Streaming only works on Firefox, whether XMLHTTPRequest () or IFrame () is used. In both cases, IE suppresses the response until its complete. You could claim that’s either a bug or a feature; but either way, it works against HTTP Streaming.